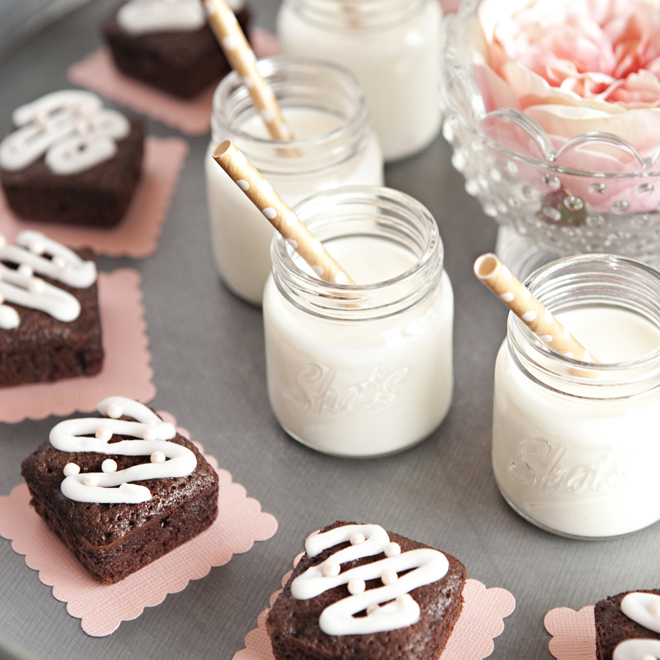 Learn how we make these adorable Mini-Brownies + Milk Shots! 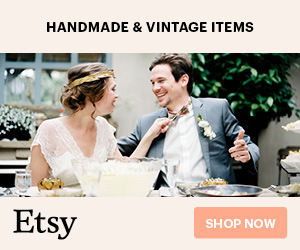 Anything and everything that is mini is adorable, from food to baby clothes. Mini desserts and appetizers of all kinds have been wildly popular lately and I’m a total fan. Mini treats are fun to look at and fun to eat, they’re easy to pass and darling to have on display. 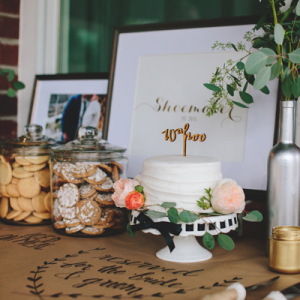 Today’s summer wedding DIY idea with Sur La Table is sure to tickle your mini-fancy! I’ve actually heard that guests prefer to sample smaller items and tend to feel that there is less commitment with a mini portion. 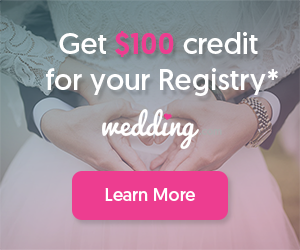 Now that I’m thinking about it I feel the same; I’d much rather grab a mini-cookie at a bridal shower or wedding instead of a full size, what about you? Serving fun little late night desserts at a wedding is a huge hit with all guests. 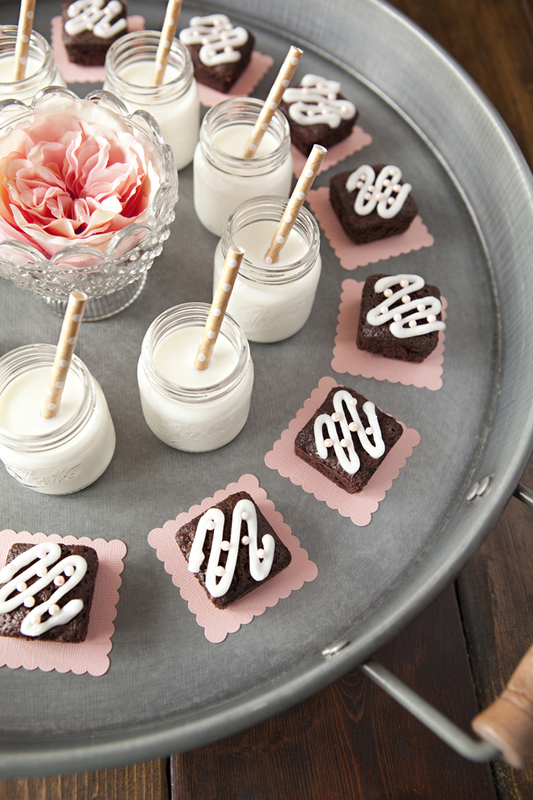 Have your waiters pass trays of these mini brownies + mini milk shots for the cutest late night pick me up ever. With a tray like this you’re bound to get a bunch of “aawweeee… how cute!” and maybe even a few “ooohh my goodness, how adorable!”. 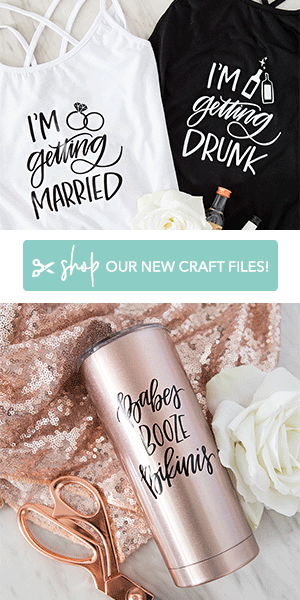 These treats would be perfect for your engagement party, bridal shower, bachelorette party or wedding. Speaking about this adorable tray of goodies, the galvanized serving tray from Sur La Table is so awesome, it’s large, sturdy and gorgeous – I loved it so much that I now have it on my desk with a bunch of fun girly goodies on it! I used the delicious Trader Joe’s Brownie Truffle Mix and the mini-brownie pan below; I was able to make 36 brownies from one box. The mini-brownie pan from Sur La Table ensures that every side of these individual treats have that yummy edge crunch to them with a perfectly soft middle; it was really easy to pop the brownies out of and clean too. I piped on some frosting and topped with a few little round sprinkles. In case you are wondering the glass centerpiece jar is from Ikea and the flower is actually a fake, but you’d never know!